HMS Rodney (pennant number 29) was one of two Nelson-class battleships built for the Royal Navy in the mid-1920s. The ship was named after Admiral Lord Rodney. The Nelsons were unique in British battleship construction, being the only ships to carry a main armament of 16-inch (406 mm) guns (nine guns in three turrets! ), and the only ones to carry all the main armament forward of the superstructure (the French followed the British example in 1937 with the commissioning of their Dunkerque class and later with the Richelieu class). They were designed as larger ships but 'cut down' by the Washington Treaty of 1922, the design was limited to 35,000 tons (216 meters overall length) and showed certain compromises. To accommodate 16-inch main guns in three turrets, all of the turrets were placed forward and the vessel's speed was reduced and maximum armor was limited to vital areas. Even with the design limitations forced on the designers by the treaty, Rodney and Nelson were regarded as the most powerful battleships afloat until the new generation of all big gun ships was launched in 1936. Note that they were the only British battleships built between the Revenge class (ordered in 1913) and the King George V class, ordered in 1936. As her superstructure was located aft of midships like RN fleet oilers whose names carried the ...'ol' suffix, she was sometimes derisively referred to as "Rodnol". 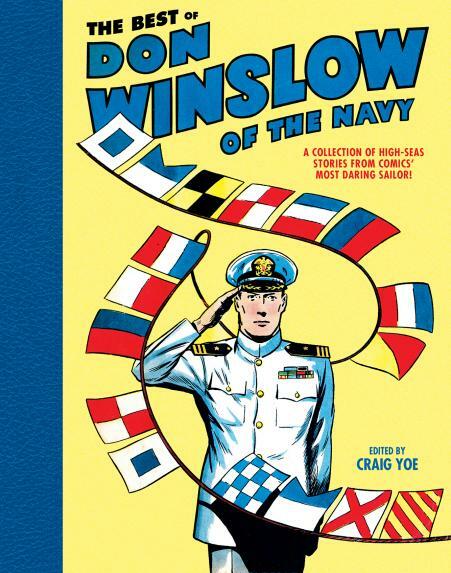 Welcome to my third book review, The Best of Don Winslow of the Navy, A Collection of High-Seas Stories from Comics' Most Daring Sailor! The Best of Don WInslow of the Navy. Welcome to my third book review! This time, the book I will present and review here isn’t actually a literature book but a book collection of the best stories from a famous American comic! This comic is the classic Fawcett run of Don Winslow of the Navy, one of the most popular comics running during and after World War II! Don Winslow of the Navy was introduced to the American public in March, 1934, originally as a comic strip in newspapers in the ‘30s and ‘40s. The comic magazine, as it was known at the time, was launched in February, 1943, by Fawcett Publications containing the original stories of Don Winslow in the form of short stories. The Don Winslow of the Navy comic was originally created by Frank V. Martinek, Lt. Commander in U.S. Naval Intelligence in order to stimulate the interest of young Americans about military life and thus to foster recruitment (especially in the Navy), as well as to entertain and engage military audiences and the general public. Somebody can imagine how exciting or mysterious a life on the sea would be to people from the Midwestern United States and Mountain United States, many of whom might not have even seen the ocean.